you have access to the Facebook Business Manager account that owns the Facebook page on which you want to display your products. If no Business Manager account has been created for this Facebook page, click here to create one. 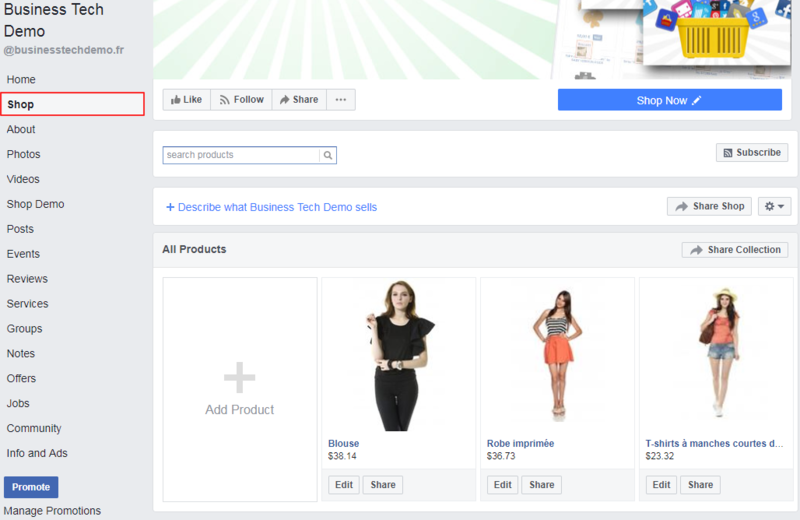 the shop tab made available by Facebook ("Shop" section)(*) has been added well on the Facebook page. Click here to know how to do. 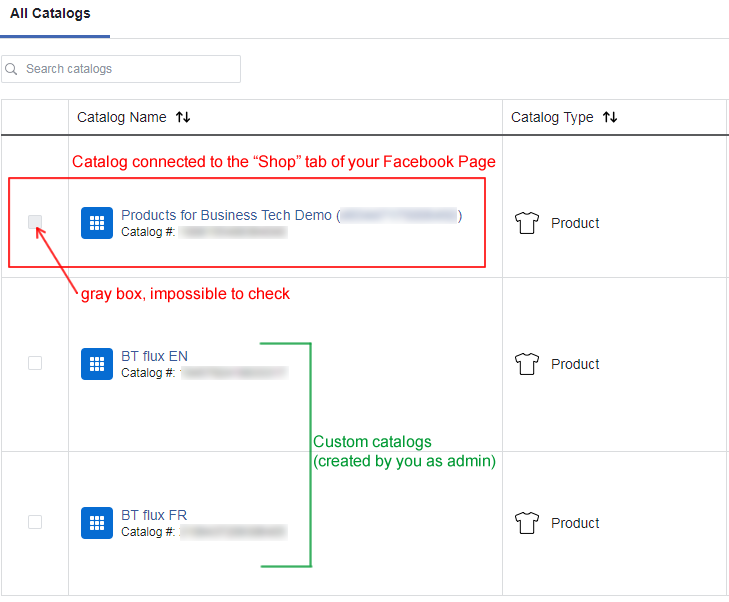 (*)be careful, this shop tab is the one natively made available by Facebook, this cannot be the custom tab created by our "Advanced Shop for Fan Page" module because this latter is not connected to the Business Manager. If you want to configure a custom Facebook shop tab, created by the "Advanced Shop for Fan Page " module, click here. 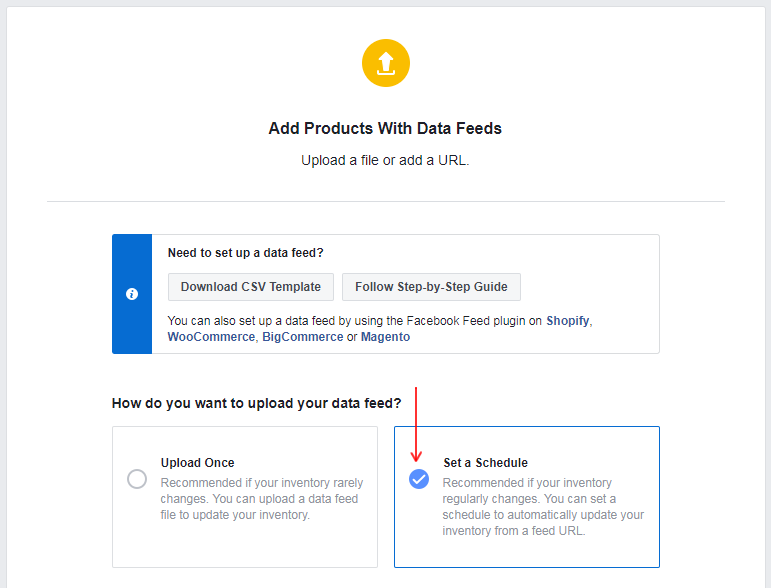 Either import your products in a catalog you created and then connect this catalog to your Facebook page. To know how to do, click here. 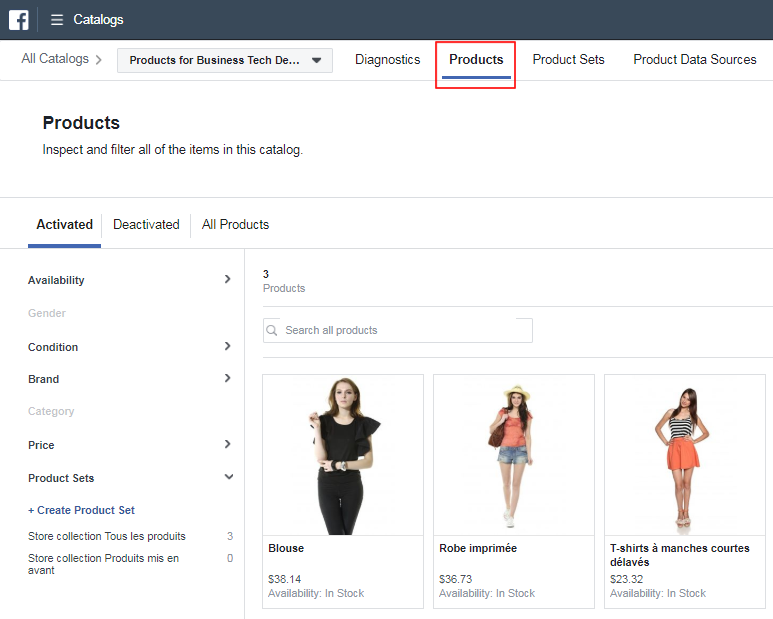 You can see the list of your Facebook product catalogs: the one made available by Facebook when you added the shop tab and, if it's the case, the catalogs you created by yourself. This default catalog set by Facebook is already connected to the shop tab of your page. Then, if you add products in it, they will automatically be visible into the shop tab. 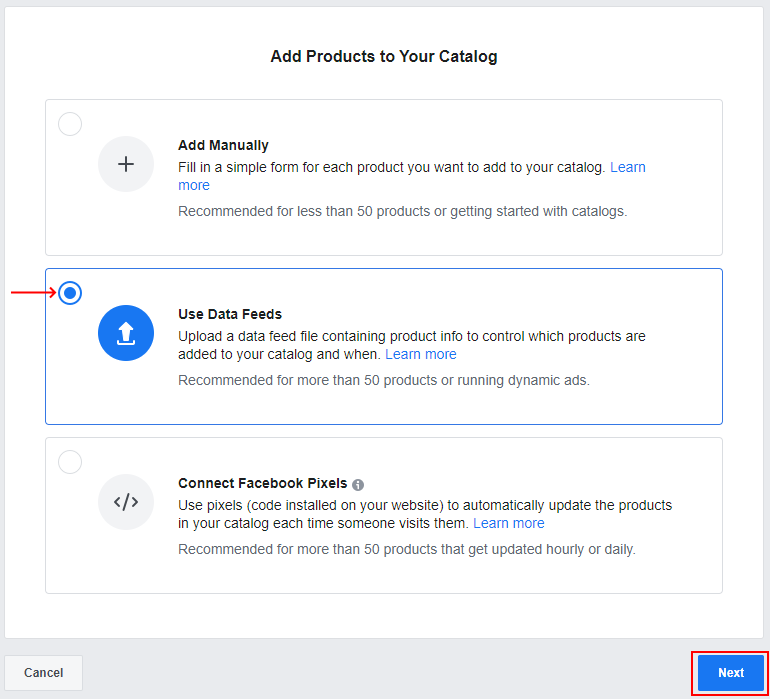 To automatically import and update your products in this catalog (and so in your Facebook shop), you are going to use a feed generated by the "Dynamic Ads + Pixel" module. the shop tab made available by Facebook only allows you to display your products in a single language and a single currency. Today, it's impossible to display the native Facebook shop section in many languages (for a Facebook shop in several languages, you must create a custom tab through our "Advanced Shop for Fan Page" module, click here to know more). 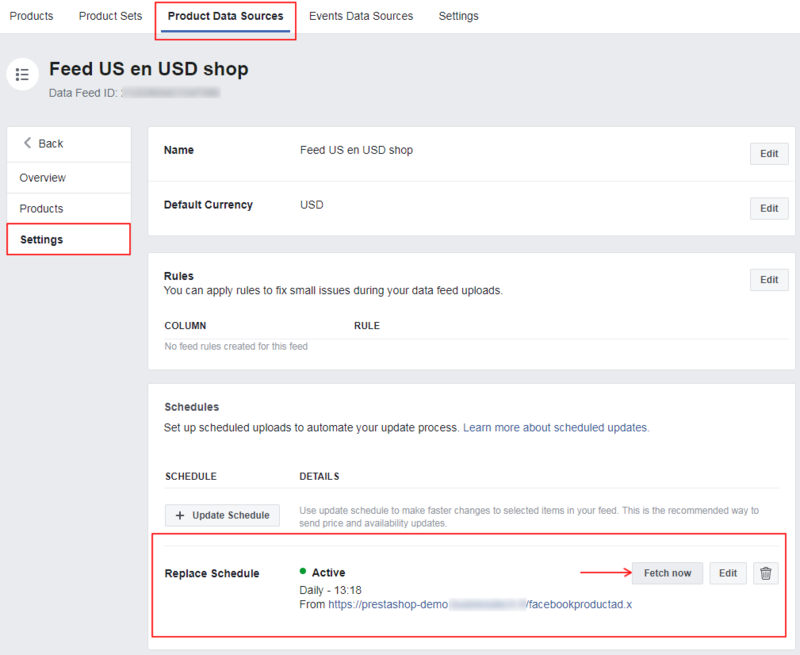 If your shop is multilingual, you have to decide in which language your Facebook shop will be displayed and then select the matching feed generated by your "Dynamic Ads + Pixel" module. Important: as previously said, the Facebook default shop tab can only be displayed in a single language and for a single currency. Whichever the solution below you choose, you have to make a choice and select the feed (or XML file) URL that matches this choice. You have then to set the recovery frequency of your data by Facebook. Choose whether you want it to be every hour, every day or every month, and then specify the day/hour of revovery. 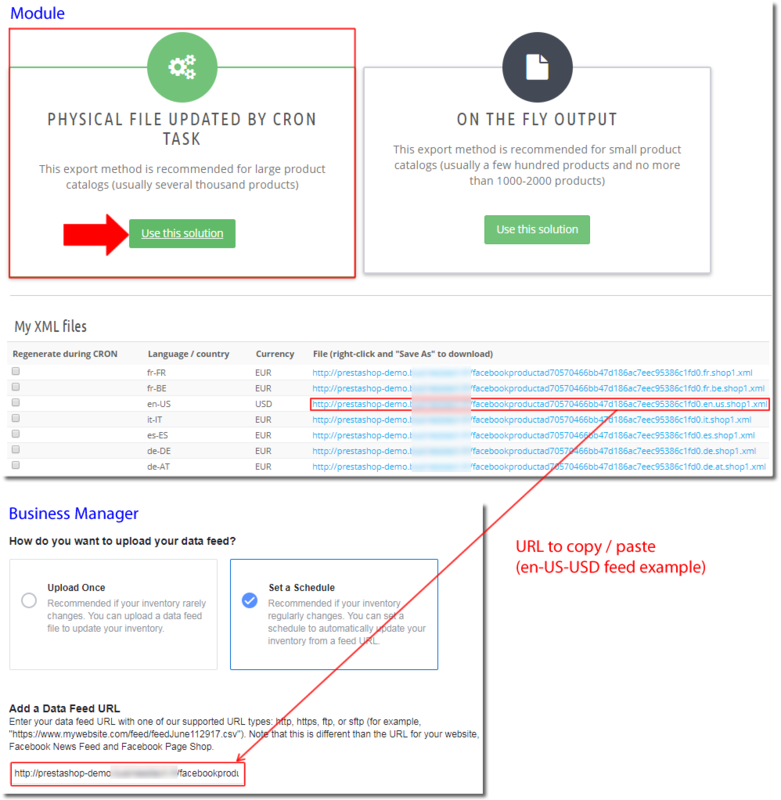 Important note: if you have created a CRON task to update an XML file that will be retrieved by Facebook, be careful to set this CRON task so that it updates the XML file before Facebook retrieves it. Also try to space the schedules of both tasks because depending on the size of your catalog, updating the XML file may take more or less time. 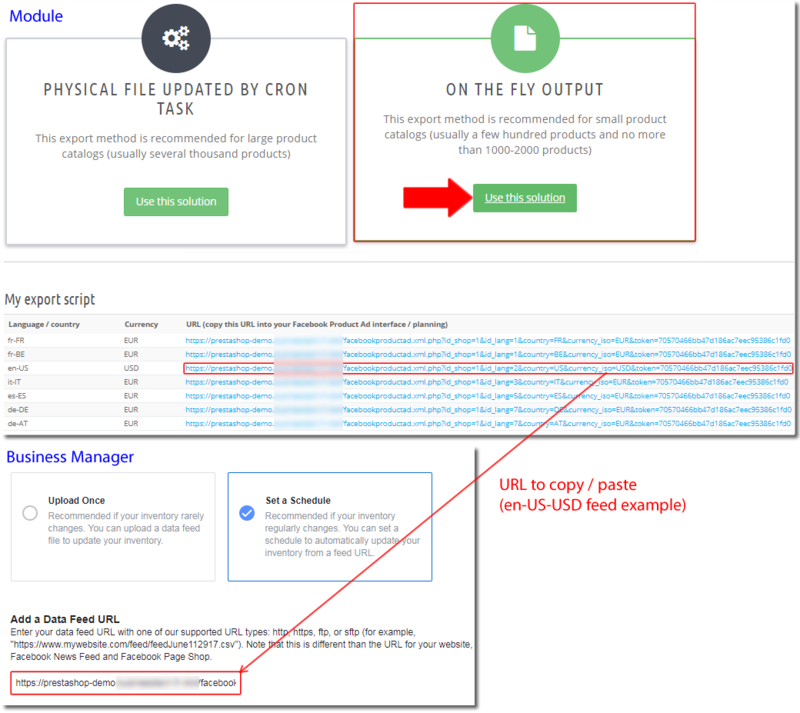 For example, if you have set your CRON task so that the XML file is updated every day at 3:00 am, set the file recovery by Facebook at 6:00 am. Also, be careful that the time zone selected is the same for the CRON task and for Facebook recovery. 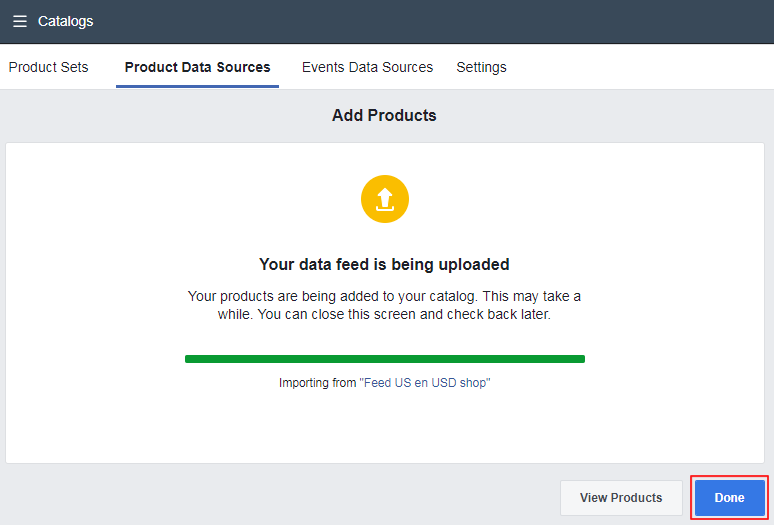 Thanks to this product data feed import, you can also create product ads and dynamic remarketing campaigns. However, you will be able to do this only for the language and the currency of the feed set up. For the dynamic remarketing, remember to install a pixel on your PrestaShop site and to link it to the Facebook catalog you just filled out. To know how create and install a pixel click here. To test its working click here.